Cape Town – Even if all foreigners leave South Africa, it would not make a difference to socio-economic issues facing the country. And the idea that the country is overrun by immigrants is not supported by data. That’s the word from Loren Landau, Chair of the African Centre for migration and society at Wits University, who was a panellist at a recent talk on migration, xenophobia and the 2019 elections hosted by the Scalabrini Centre of Cape Town and Sonke Gender Justice. Gauteng and the Western Cape are home to most of these immigrants. He said the total number of immigrants in the country is between 1.5 million to 3.5 million, or as he puts it: “they are simply not enough to make such a big deal”. “But if you listen to people, they’ll tell you all of Zimbabwe is here”. “Local unhappiness about immigrants taking all the services are not borne out of fact,” Landau said. Instead it’s about poor management of cities, and the fact that the country did not plan for migration. He added that government should pay attention to domestic migration, instead of international migrants, as there’s a bigger issue of failed transformation where the anxiety comes from. Sally Hurt, Head of advocacy at the Scalabrini Centre, said there is a “destructive narrative” that foreigners are burdening the healthcare system. “We don’t have accurate stats about who is using the healthcare system,” she said. Popo Mfubu, attorney at the Refugee Rights Unit at UCT said many government officials don’t understand how asylum papers work. “They simply list you as a private client,” he said. “Even the decision to close the Cape Town refugee reception office. What data informed that decision because there is an overwhelming need to keep that office open. “Its A, because they’re ignorant, and B, refugees and migrants and asylum seekers don’t vote. They have very little political capital, so they don’t really have a voice or a constituency that anyone is going to be willing to champion,” said Mfubu. 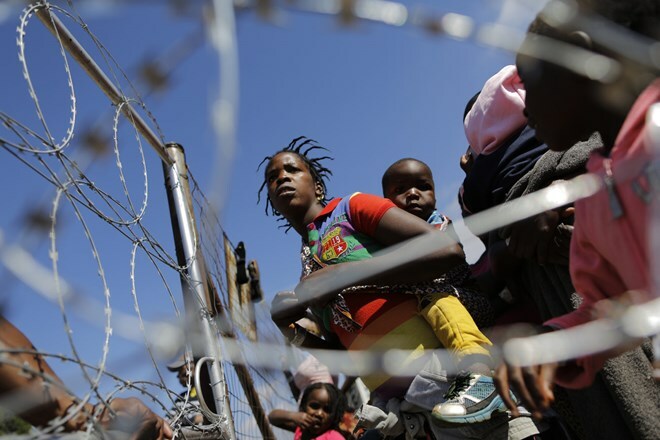 Sindisiwe Moyo, advocacy and child protection officer at the Scalabrini Centre said some of the decisions taken by government is meant “to punish undocumented people in South Africa and push them to go back to their countries. “It’s like there is a lack of understanding, a lack of research because some of these amendments are made based on assumption,” she said.